Contemporary restaurant featuring modern Chinese cuisine with highlight of Sichuan regional food, plus house special on table charcoal grilled fish. No-frills Chinatown spot with a Cantonese-focused menu that's also budget-friendly. Local chain outfit providing a broad menu of Chinese favorites in a basic, counter-serve setting. Vietnamese noodle house dishing up bowls of pho soup in a casual diner-style setting. "Bonchon” means "my hometown” in Korean and we are proud to bring our signature soy garlic and spicy fried chicken to the hometown we call Chicago! 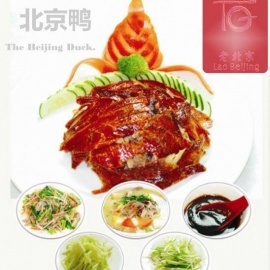 Casual restaurant focused on Beijing regional specialties, spiced from levels mild to fiery. Home to authentic and yummy hand pulled noodles, Slurp Slurp Noodles is located on Wentworth Ave, right in the heart of Chinatown,.